Hey there! I'd love to shoot your day! However, my schedule fills up pretty quickly, so I recommend you take a look at my availability. You can also get an idea of our service information and pricing below. Questions? Feel free to contact me through the form below, or scroll through my Frequently Asked Questions. 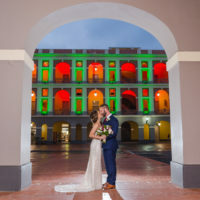 Below you will see my availability calendar for wedding photography and photo sessions in Puerto Rico. I'm currently booking wedding dates from Summer 2018 onwards. Saturdays are reserved for weddings, so meetings, engagement and family sessions, can be scheduled anytime during Sundays or weekdays. I'm already booked, or unavailable for the dates in pink. This calendar may not be updated, so please always double check with me before making any arrangements to be on the safe side! I'm also available for overseas projects, contact me for orientation and availability for this kind of event. On your wedding day, my goal is to keep your memories. I don't have planned poses, or an established amount of pictures I'm willing to make. I'm always ready and looking to preserve the memories of each wedding as it is: unique. With photo sessions starting at $500, elopement photography at $1,340 and full wedding collections at $2,590, I have pre-recommended packages that suit a variety of interests and needs. Knowing every client and wedding is unique, I'm happy and willing to design a package customized for you. The full catalog of my services, products, and pricing is available upon request.